David McCune has just completed a Bachelor of Music in voice performance at The King’s University, where he studied with bass-baritone Jihwan Cho. His recent solo performances include Mozart’s Requiem with Edmonton Metropolitan Chorus and i Coristi Chamber Choir, and the role of Jesus in Arvo Pärt’s Passio with Pro Coro Canada. 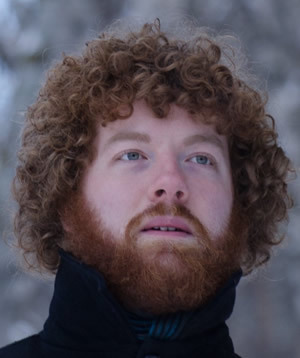 He is also an active choral singer, singing bass with many choirs, including both of Alberta’s professional choirs: Pro Coro Canada and Luminous Voices. He represented Alberta in the 2016 National Youth Choir of Canada, represented Canada in the 2016 World Youth Choir in Germany, and will be returning to the World Youth Choir this summer in Hungary. He has performed a wide variety of 20th and 21st century music, from Superintendent Budd in Britten's Albert Herring to Stockhausen's Stimmung, and recently premiered a set of art songs for low bass written by Canadian composer Charles Stolte. In addition, he has a special interest in Slavic solo vocal repertoire, and has had the privilege of studying the art songs of Ukraine with Pavlo Hunka, Vasyl' Pudchenko, and Dr. Melanie Turgeon.